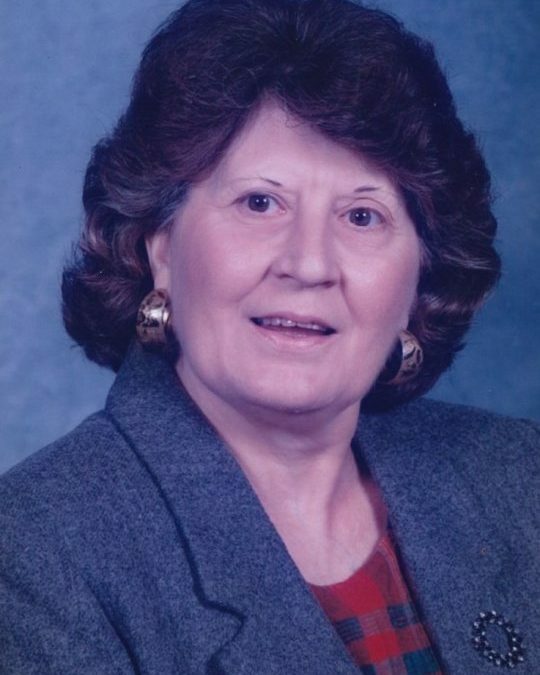 Lucille Thompson Troxtle, age 77, of Science Hill, Kentucky, passed away on Wednesday, January 24, 2018 at Lake Cumberland Regional Hospital. She was born on October 29, 1940 in the Delta Community, daughter of the late Ephriam and Linda Jones Thompson. Lucille was a member of the Denham Street Baptist Church and a retired employee of G.E. Glass Plant. She was a devoted mother and grandmother, always caring about the well-being of others. She would always talk about Jesus and emphasis the importance of going to church and living for the Lord. Her greatest desire was to know that her children was saved and had hope of eternal life spent in Heaven with Jesus and her loved ones. She will be missed by all who knew and loved her. Our loss is truly Heaven’s gain. She married John Elmer Troxtle on March 23, 1957, who preceded her in death. She is also preceded by her parents, a granddaughter; Tasha Dobbs, a brother; Edward Thompson, and sisters; Hazel Thompson Hall, Iva Thompson and Rosetta Thompson. She is survived by two sons; Duane Troxtle of Science Hill and James Dale (Mary) Troxtle of Bronston, two daughters; Trulayne (Tony) Mink of Science Hill and Donna (Mark) Casada of Bronston, brothers; Robert (Joyce) Thompson of Clay Hill in Wayne Co., Vernon (Marilyn) Thompson of Ohio and James (Lynn) Thompson of Alabama, one sister; Lilly Bolen of Somerset, ten grandchildren and nine great-grandchildren. Visitation will be after 6:00 pm on Friday, January 26, 2018 in the Chapel of Southern Oaks Funeral Home. Funeral Services will be held at 1:00 pm on Saturday, January 27, 2018 in the Chapel of Southern Oaks Funeral Home. Burial will be in the Liberty Cemetery, Kidder, Kentucky. Southern Oaks Funeral Home is entrusted with the arrangements for Lucille Thompson Troxtle.